Kala Solid body UBass review of the S.U.B and Custom California! – Play UBass! Kala California and Kala SUB side by side! I have been playing Kala Ubasses since the Summer of 2010. If you’re interested in how I discovered these instruments please check the very first post on this blog! 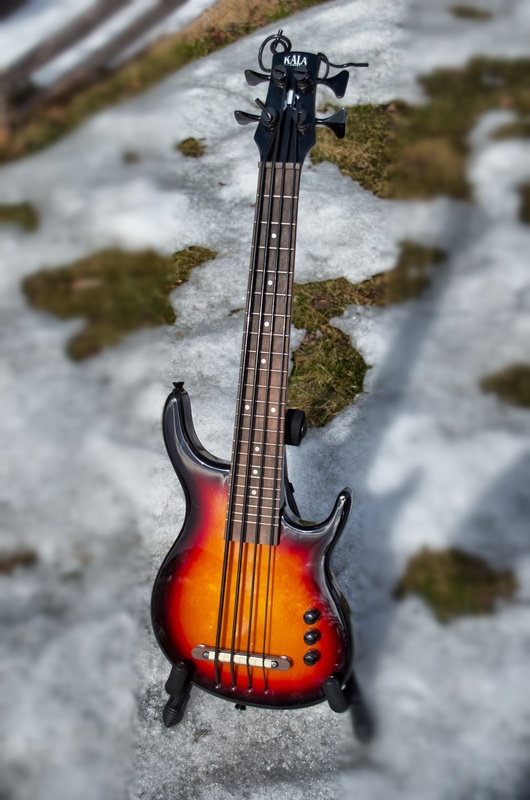 On this page you can read about the different UBass models available in 2013. The Kala SUB has a bolt on neck with 22 frets. The scale length is 21″ inches (53,34 cm) (13″ less then a regular 34″ electric bass). Compared to the fretless acoustic/electric model I have played since 2010 there are a few differences in how it feels to play. In my opinion it was easier for me to play the fretless than the fretted. This is almost only because of the scale length. When I first started playing the SUB I tended to fret on the frets. It has however been a lot easier over time. When you fret ‘on-the-fret’ a not so pleasing sound will be heard. There is more ‘looking-at-the-right-hand’ than when I play a regular 34-35″ bass. This is simply because it feels more natural. (I have been playing electric bass for 25+ years). All in all I think it’s definitely nice to play. The only negative thing that I have to mention is that the fretwork is not top notch. There are quite a few frets that need some ‘more love’. But in this price range it’s quite common and the new SUB’s are hopefully even better. The one I’ve been playing was probably made 1-1,5 years ago or more. I have played this Ubass almost a year now. It’s been used on different gigs. From cover band type of gigs to a Beatles tribute with a large choir and band in a concert hall. I think it works really well in these situations. The sound suited these shows perfect and anywhere you would choose a Fender P-bass. A friend told me about a supposedly old Fender P-bass add that said: ”It’s got one sound – the sound you want” 🙂 The Kala Solid body’s has a really warm and full sound! This is one key ingredient that it blends so well with other instruments! The pre-amp in the SUB is designed to deliver a quite hot and ‘bassy’ sound hence the name SUB! This is quite new for me. I have only had it for about a month. There are a few differences between these ubasses. The California model is built entierly in the US while the SUB is built in Asia. The final setup and check is made at Kala in California for both models. The preamp differs too. California: MiSi 60 seconds recharable system with 2 band (Bass, treble) active EQ SUB: Shadow 2 band (Bass, treble) active EQ. As I wrote earlier the SUB has a ‘hot’ signal with a lot of low end while the California model is voiced a bit ‘cleaner’ with not so much low end output. The California model has the same stock strings as the SUB (Pahoehoe black polythene strings). These have some serious bottom end and is of cause one of the key ingrediences to the great sound of the UBasses. There are other strings on the market as well, I have tried the white Aquila Thunderguts on my acostic/electric for quite some time now (Read and listen to a comparison here: post 1 post 2 post 3) and the do feel a bit different to play and soundvise too. What’s best for you is not for me to say I think you have to try the different strings out and see ehat suits your playing style and prefered sound. Ok let’s get back to scale length. Here comes one of the biggest differences between the 4 and 5-strings. Since the Califonia 5-string has a 3 inches longer scale length the spacing of the frets will be greater. Stretch out these 3 inches and you will of cause get a fretboard that is 10,5″ shorter than a regular 34″ electric bass. This makes the transition from the regular electric bass a lot easier. My friend Christian Wikstrom plays bass in a hiphop group where I play drums. He tried the Califonia on a recent gig. I brought it to the rehearsal (on the day of the show) and he just couldn’t put it down. He ended up playing it for the whole set! He said it was quite easy to get used to the California because of the longer scale (compared to the 21″ acustic/electric he tried out earlier. He wrote this after the gig: – ”It is truly a great bass. I like the longer neck feature that makes is easy to swap from any bass. When I used it at a gig I didn’t have the time to practise first but it felt just great right from the start. And I love the ”sub-dub” sound from those rubber strings!” Well it’s hard to get a better review on a first hand encounter with the California 5! I tend to agree too! I have just done some recordings and I do feel the extra length gives you a slightly more defined tone and the string also feels a bit more ‘solid’ under my fingers. Enough talking. Let’s here it! I have recorded some bass lines with the Califonia and SUB. And since I referred to a P-bass earlier I’ve also recorded with my 1978 maple neck Fender Precision. (It has old flat wound stings). You can hear both these tracks in the video below! Limited Lifetime Warranty against defects and materials, 1 year on electronics and tuning machines. < Jammin’ with my Kala UBass feat. jazz pianist Lars Jansson! Excellent review Magnus. Very comprehensive. I’m going to write about it on the uBass Appreciation Society. I’m in Vienna, Austria on my way to Musikmesse in Frankfurt, Germany. The biggest music fair in Europe. Like NAMM but in Europe! Will blog about it later! Take care! Excellent review Magnus. You are the best. Yes. 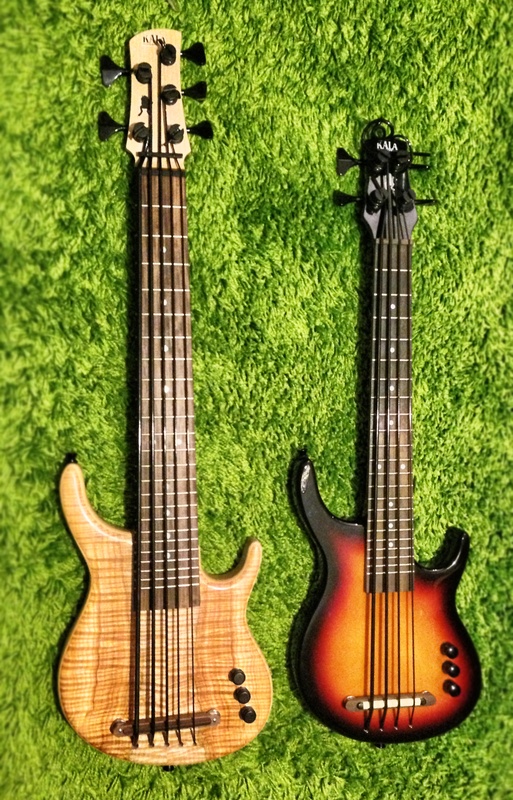 The 4-string California is 21 inch but the 5-string California is 23,5 inch! Great reviews and videos. I own a California 4 string and it is truly a joy to play. I have short fingers and used to really have a hard time with my Fender P bass and although I loved it, I sold it and bought the California. Here’s a question. Have you tried using the Pyramid round wound strings? From the demos I have heard, they do sound more like a standard metal string electric bass to me. Also, have you heard if Pyramid will be making a flat-wound version, Magnus? I have not yet tried the Pyramids. Will try to get my hands on a set and make a review! Have not heard anything about a flat-wound version but will check that out too! 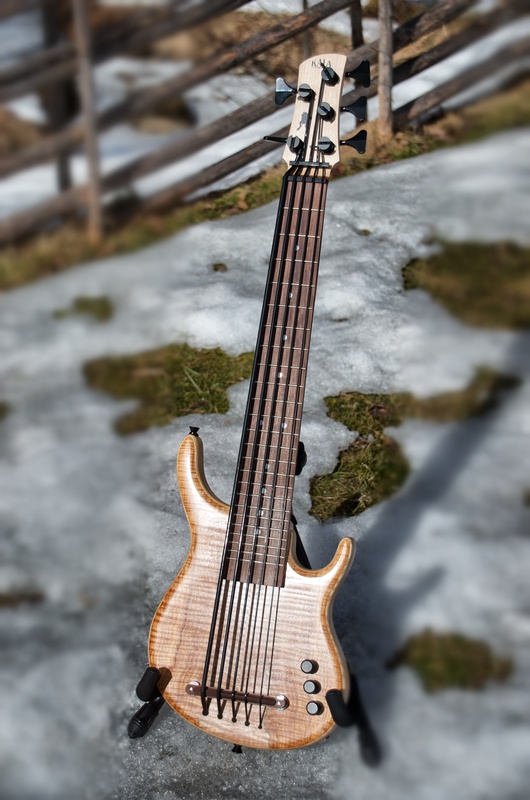 Take care and good luck playin’ your UBass! which would you prefer a fender jazz bass or a Kala SUB? That’s a really hard question. There are many situations where a SUB would work absolutely as good as a Fender Jazz bass and others where I would prefer a jazz bass. I’ll just write a couple of scenarios below and further develop these thoughts in a future blog post! 1. If my goal is to have a fat tone and I don’t need that much top end shimmer I would go for the SUB in many situations. (I have started to experiment with different strings on the Ubass to get more of the regular steel string sound. But not yet on the SUB of solid body Ubasses. There will most definitely be news about my experimentation in the future!). 2. The portability and ease of use is always a factor and if I have to travel light the SUB is a great alternative! 3. In a reggae setting of when I need an ultra low and massive bass sound the SUB is a monster and really hard to beat! 4. Until I have found a string that has punch like a regular steel/nickel string I still prefer a jazz (or precision) for funky staccato playing BUT with the Pyramid Black Nylon Tape I’m getting really close to that sound too! So it’s only a matter if time until that sound is in reach even on the SUB! 5. Playing jazz. Well, if my goal is a sound that mimics a sound of an upright bass I would go for the SUB too. (In my case I also use a Rob Allen MB-2 fretless bass guitar for these kind if sounds). I also prefer a fretless Ubass when playing jazz. These isn’t (yet) and fretless SUBs available so if jazzy music is what you will play the most I recommend getting a fretless solid body of acoustic/electric Ubass. I’ll try to develop these thoughts in a future blog post! I’ve had and gigged with a u-bass since 2010 also; but quit playing three years ago, only to pick it back up in the recent few months. Now I’m pretty rusty, but wanting to get back into it, and entertain myself with making split-screen videos like yours. But I don’t know where to start in terms of cameras, software, and script. Your videos are stellar, and I love to watch and listen to you play. You, your playing, and your videos remind me so much of Marlow DK at Play Bass now. Keep it up, I’m a late finder of your really cool videos and informative blog website. Thank you so much. I’m glad you re-found the love of playing Ubass! I’m also happy that you find my videos and info interesting! I also use iPhones (preferable iPhone 6). These gives me a good enough quality for YouTube and upcoming iBook(s). For sound I use Universal Audio products together with mics (Røde, AKG, Oktava) and my Aguilar amp/cab and also the wonderful Basswitch IQ/DI by rmi.lu. Audio software is Apple Logic X and video post-production is done with Final Cut Pro X.